Rachel J Homes is delighted to market this Well Presented End Terrace House located close to schools, shops, transport links and amenities. If you are looking for a good sized house to accommodate your growing family then make sure this is on your list to view. 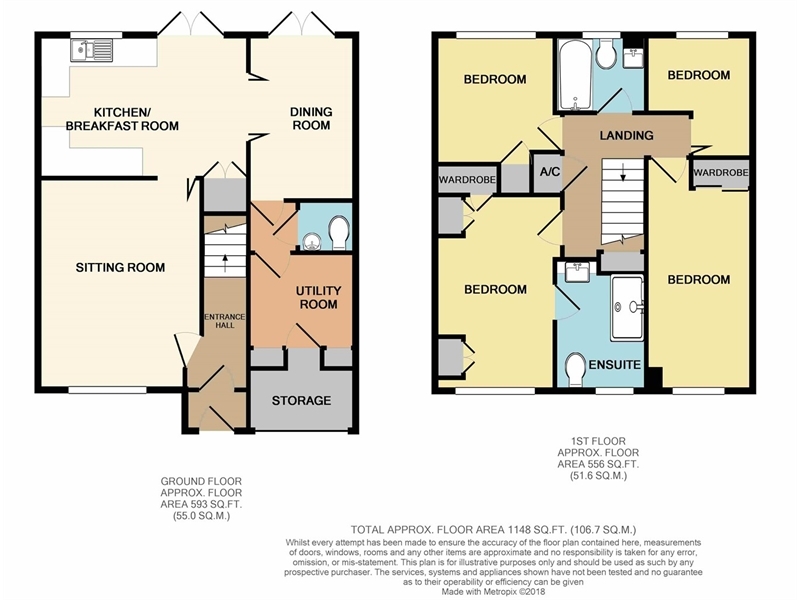 The accommodation briefly comprises of Entrance Hall, Downstairs Cloakroom, Lounge, Kitchen/Diner, Family/Play Room, Four Bedrooms, Ensuite to Master, Bathroom, Front and Rear Garden, Parking for Two Spaces. Please note that the garage has been converted to part utility and part storage. Added benefits of this lovely home include double glazing and gas central heating. Accompanied viewings - CALL NOW!!! Low level W/C, wash hand basin, radiator. Power and light, door to storage rear of garage. UPVC double glazed window to front, fully tiled walls and floor, double shower cubicle with hot water mixer shower, wash hand basin set into vanity unit, low level WC, heated towel rail. UPVC double glazed window to front, radiator, loft hatch, built-in double wardrobes. UPVC double glazed window to rear, radiator, built-in single wardrobe. UPVC double glazed window to rear, fully tiled walls and floor, panel bath with hot water sunflower shower, low level WC, wash hand basin set into vanity unit, heated towel rail. Laid to block paving with parking for two cars. Enclosed by fence to one side and enclosed by wall on the other side and rear, laid to lawn with patio area and raised deck area, side gate, outside tap.